Need a great personalized gift idea for the tennis player in your family? 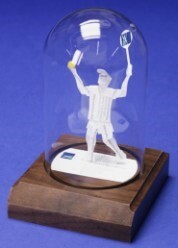 The Business Card Sculptures Tennis Player Sculpture is a perfect gift for birthdays, Mother’s Day, Father’s Day or anniversaries! Celebrate the athletic accomplishments of your family, neighbors, customers and friends. 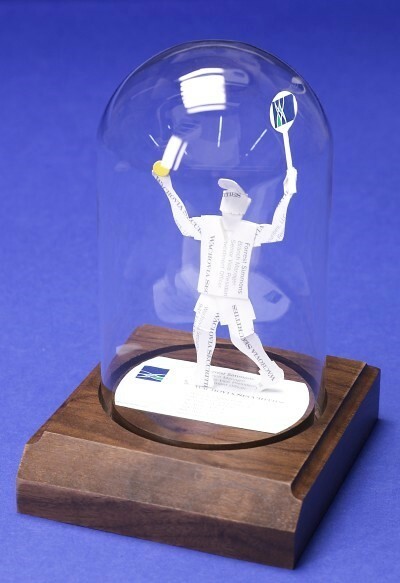 We have 7 sports business card sculptures under glass including the popular golfer, baseball/softball player, fisherman, weightlifter, skier and hockey player! They’re a great gift because they are personalized using the recipient’s business cards.